Perron versus LeBon was a cardfight played in September of 2013 at the Park Hyatt Toronto. Played between the final remaining contenders for the Canadian regional title Sebastian LeBon and Kevin Perron, it was the last game of the first World Championship 2013 regional qualifier. As with all regional tournaments in 2013, the finals were done in best of one, with a 20 minute time limit. The game drew much interest at the time because of the unusual matchup, and can be used as a reference to teach the advantages of Azure Dragon-based Beast Deities, as well as to illustrate an overall positive matchup for the original Beast Deity deck when paired against Dragonic Kaiser Vermillion "THE BLOOD." The Canadian finals came as a surprise to the global community because they featured two deckbuilds that had been studied extensively since December 2012 and had been critically panned compared to the dominant decks of the time, with Dragonic Overlord the End as the primary measuring stick for competitive play. LeBon played a Nova Grappler deck using Beast Deity, Illuminal Dragon while Perron brought a Narukami deck focused towards Dragonic Kaiser Vermillion,“THE BLOOD.” Each cardfighter had taken one loss in the double elimination rounds, but had managed to persevere through the top 8, with a win record of 8-1 each prior to the final game. Based on his deck alone, Perron had been favored for first place, as while the Beast Deities had brought positive revisions to Nova Grappler's play style their standing mechanics were not valued as highly as Narukami's straight retire power or Vermillion's simultaneous attacks on the front row. Of the 20 minutes allotted for the finals, 12 minutes and 33 seconds were used. The game was unofficially recorded by a friend of fourth place finalist Kevin Luu. Throughout the entire game, LeBon maintained an overall lead with strong moves that were difficult to play against and encouraged his opponent to play poorly in response. Below is a generally accurate recreation of the fight. Because there are no views from Perron's side of the table, the contents of his hand has to be inferred based on where he places cards in the video when drawing them, where they move and what kinds of plays he makes based on the limitations of his hand. Because Nova Grappler at this period had no retire skills to intimidate him, and Perron did not call many boosting units or attacking units when either would have been useful at certain points, as a general trend he did not have many usable rearguards in hand during the first nine turns. Perron's hand: 6. Red River Dragoon, Demonic Dragon Nymph Seiobo, Thunderstorm Dragoon, Dragonic Kaiser Vermillion, Dragonic Kaiser Vermillion, Mischievous Girl Kyon-she. LeBon's hand: 5. King of Sword, King of Sword, Beast Deity Scarlet Bird, Shining Lady, Ultra Beast Deity Illuminal Dragon. Perron opens with Red River Dragoon (8000) moving Spark Kid to the back rearguard circle to the right of his vanguard for +1. LeBon draws Clara and makes a deceptive play by riding Beast Deity, Scarlet Bird (6000) with White Tiger retreating behind Bird for his +1. Although on the surface Perron has a strategic advantage this turn because he can drop 10000 shield to completely prevent the attack from getting through even with triggers, this is LeBon's goal. The standard response to an on-hit skill like Scarlet Bird's is to stop it from activating even though it may fail, which LeBon sought to take advantage of by persuading his opponent to drop shield early on. Because his deck's midgame stand skills help him make up for not dealing as much damage earlier in the game, and because Narukami has trouble maintaining high hand sizes, and its main strategy with Kaiser Vermillion needs 4-5 damage, LeBon can safely be denied the opportunity to deal damage this turn if it means lowering his opponent's hand and getting them into a position where he can play a denial game by leaving them at 3 later on. If checked a critical trigger would be wasted, but it would also give Perron positive reinforcement for stopping LeBon's attacks. The correct decision in this situation would be to let Scarlet Bird hit. Perron falls for the feint and guards with Demonic Dragon Nymph, Seiobo (S18000.) LeBon drive checks Twin Blader. Perron's hand: 5. Thunder Storm Dragoon, Dragonic Kaiser Vermillion, Dragonic Kaiser Vermillion, Mischievous Girl Kyon-she, Spark Edge Dracokid. LeBon's hand: 6. 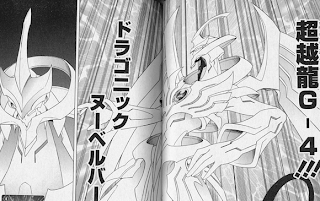 King of Sword, King of Sword, Shining Lady, Ring Girl Clara, Ultra Beast Deity Illuminal Dragon, Twin Blader. Perron rides Thunderstorm Dragoon (10000) and drive checks Wyvern Guard, Guld. LeBon damage checks Beast Deity, Azure Dragon. Note that because Azure Dragon was in the top 5, this means that no matter what Perron did, LeBon would have the lead in card advantage, but the scenario in which Perron had less cards is more useful to LeBon because it restricts Perron's plays. LeBon draws Beast Deity Blank Marsh on turn 4 and rides King of Sword (10000), calling a second King to his right. Rearguard King attacks Thunderstorm Dragoon. Perron guards with Mischievous Girl, Kyon-she (S15000.) With White Tiger's boost, vanguard King drive checks LeBon's Hungry Dumpty tech. Perron damage checks Dragonic Kaiser Vermillion. Perron's hand: 5. Wyvern Guard Guld, Dragonic Kaiser Vermillion, Dragonic Kaiser Vermillion, Spark Edge Dracokid, Spark Edge Dracokid. LeBon's hand: 6. Shining Lady, Ultra Beast Deity Illuminal Dragon, Ring Girl Clara, Twin Blader, Beast Deity Blank Marsh, Hungry Dumpty. Perron rides Dragonic Kaiser Vermillion (11000) and calls another Vermillion (11000) to his right, then uses Spark Kid Dragoon's counterblast to move it to the soul and search the top 5 cards of his deck for a Narukami grade 3. The skill fails, the deck is shuffled and Perron has taken a -1. There is now a difference of three cards between the two with equal damage. Perron's vanguard Vermillion attacks LeBon's vanguard and goes unguarded, Perron drive checks Thunderstorm Dragoon and Malevolent Djinn (Critical Trigger +5000 power / +1 critical) assigning the critical to his vanguard and the power to rearguard Vermillion. LeBon damage checks Twin Blader and The Gong (Draw Trigger +5000 power / draw 1), gives the power to his vanguard and draws Three Minutes. Rearguard Vermillion (16000) attacks rearguard King of Sword, and is defended with Shining Lady (S20000.) Because of LeBon's draw trigger, the only overall change in card advantage from the start of the turn is Spark Kid Dragoon's -1. Perron's hand: 6. Wyvern Guard Guld, Thunderstorm Dragoon, Malevolent Djinn, Spark Edge Dracokid, Wyvern Guard Guld, Spark Edge Dracokid. LeBon's hand: 7. Ultra Beast Deity Illuminal Dragon, Ring Girl Clara, Twin Blader, Beast Deity Blank Marsh, Hungry Dumpty, Three Minutes, Beast Deity Azure Dragon. LeBon rides Beast Deity Azure Dragon (11000). This is potentially a game-changing draw because prior to topdecking it LeBon had to play with the idea in mind that he would be riding Illuminal and that White Tiger would have to leave the field at some point through either his skill or just by calling a new unit over him, because he would otherwise not be able to make an 18000 power center line. LeBon could not anticipate that Perron would never draw "THE BLOOD" within this game, but if he believed that his opponent would get the crossride eventually then he may have planned to use White Tiger's skill on this turn, which could help even out the difference in cards. He calls Blank Marsh (7000) behind King of Sword, then has them attack the vanguard (17000.) Perron damage checks Dusty Plasma Dragon. Azure Dragon (16000) drive checks Tough Boy and Ring Girl, Clara (Heal Trigger +5000 power / heal 1) healing Azure Dragon from his damage zone. Perron damage checks Malevolent Djinn (Critical Trigger +5000 power / +1 critical.) Note that LeBon's heal effectively negated Perron's critical. LeBon's hand: 7. Ultra Beast Deity Illuminal Dragon, Ring Girl Clara, Hungry Dumpty, Three Minutes, Tough Boy, Ring Girl Clara. At this point the game has swung firmly in LeBon's favor. Perron calls Thunderstorm Dragoon (10000) to his left column and uses it to attack King of Sword. LeBon guards with Three Minutes (S15000.) Dragonic Kaiser Vermillion attacks the vanguard, and goes undefended. This move could be contested considering that LeBon could have easily protected his lead with the Clara in his hand, but this would have given his opponent an opportunity to bring him down to -2 by using his rearguard Vermillion to attack King of Sword once again. By choosing not to guard, LeBon created an optimal scenario in which even if his opponent drive checked a critical trigger, it would only serve to enable Illuminal's limit break and exploit Perron's disadvantage. Perron drive checks Rising Phoenix and Demonic Dragon Berserker Garuda. LeBon damage checks Red Lightning (Critical Trigger +5000 power / critical +1) assigning it to Azure Dragon. Rearguard Vermillion attacks King of Sword, and is defended with Clara. Perron's hand: 6. Wyvern Guard Guld, Malevolent Djinn, Rising Phoenix, Demonic Dragon Berserker Garuda, Spark Edge Dracokid, Spark Edge Dracokid. LeBon's hand: 6. Ultra Beast Deity Illuminal Dragon, Twin Blader, Hungry Dumpty, Tough Boy, Ring Girl Clara, Twin Blader. LeBon crossrides Ultra Beast Deity Illuminal Dragon over Azure Dragon (13000.) With White Tiger's boost, Illuminal (18000) attacks the vanguard, Perron guards with Wyvern Guard Guld (S0) and drops Garuda to pay for Guld's cost, achieving perfect defense. LeBon drive checks Beast Deity Black Tortoise and Tough Boy. With Blank Marsh's boost, King of Sword attacks Thunderstorm Dragoon, who retires. This can be argued as a misplay, as King of Sword's full rearguard line and Perron already being at -4 may have persuaded him to going to four damage and getting access to limit break, when going to four sooner would actually be meaningless because LeBon's rearguard lanes are not filled, he has another field ready in his hand and it would open Illuminal up to taking four damage as stands are the best endgame play. If Perron were to guard an attack on the vanguard at that point he would have to use Malevolent Djinn, so either way he would go to -5 but in this scenario he would lose more shield. By not attacking the vanguard LeBon risked that he would have to go to limit break first. On the other hand, since LeBon just saw Garuda get dropped for perfect defense he also had a good idea that Perron did not have any replacement rearguards for Dragoon, and he would be able to protect King of Sword that way and drag the game out even further to capitalize on Perron losing more cards per turn than him. Furthermore, because he has his Hungry Dumpty tech in hand, LeBon could also plan to use the limit break twice in this game, and by going to four damage first he could use that to guarantee that his opponent would go to five before him. The result is a tradeoff. Perron's hand: 6. Malevolent Djinn, Rising Phoenix, Spark Edge Dracokid, Wyvern Guard Guld, Spark Edge Dracokid, Spark Edge Dracokid. LeBon's hand: 7. Twin Blader, Hungry Dumpty, Twin Blader, Ring Girl Clara, Tough Boy, Beast Deity Black Tortoise, Tough Boy. Perron calls Rising Phoenix (5000) behind his rearguard Vermillion and soulblasts 2 to draw 1 for +1. Vanguard Vermillion (11000) attacks Illuminal unboosted, LeBon guards with Tough Boy (S18000.) Perron drive checks Dragonic Kaiser Vermillion and Red River Dragoon. Rearguard Vermillion (16000) attacks Illuminal but is guarded by Clara (S23000.) Thanks to Phoenix and these attacks the advantage state is once again neutral, but to actually come into the lead for a full turnaround Perron has to stop every attack next turn and drive his opponent to limit break before him. Perron's hand: 7. Malevolent Djinn, Dragonic Kaiser Vermillion, Red River Dragoon, Spark Edge Dracokid, Wyvern Guard Guld, Spark Edge Dracokid, Spark Edge Dracokid. LeBon's hand: 6. Twin Blader, Hungry Dumpty, Twin Blader, Beast Deity Black Tortoise, Tough Boy, Three Minutes. Illuminal (18000) is defended by Guld (S0) with Dragonic Kaiser Vermillion dropped for perfect defense. LeBon drive checks Red Lightning (Critical Trigger +5000 power / +1 critical) and gives all effects to King of Sword, followed by Beast Deity Golden Anglet. Perron's hand: 5. Malevolent Djinn, Red River Dragoon, Dusty Plasma Dragon, Spark Edge Dracokid, Spark Edge Dracokid. LeBon's hand: 6. Hungry Dumpty, Twin Blader, Twin Blader, Three Minutes, Red Lightning, Beast Deity Golden Anglet. Perron calls Red River Dragoon (8000) behind his vanguard and Dusty Plasma Dragon (9000) to his left. He activates Dragonic Kaiser Vermillion's limit break 4, paying counterblast 3 for +2000 power and being able to attack the opponent's entire front row simultaneously until the end of the turn. LeBon cannot intercept during this attack and must guard each unit individually, but any trigger effects applied to Kaiser Vermillion will increase its power versus every unit it battles with. With Red River's boost, Dragonic Kaiser Vermillion (21000) battles LeBon's front row, LeBon does not guard. 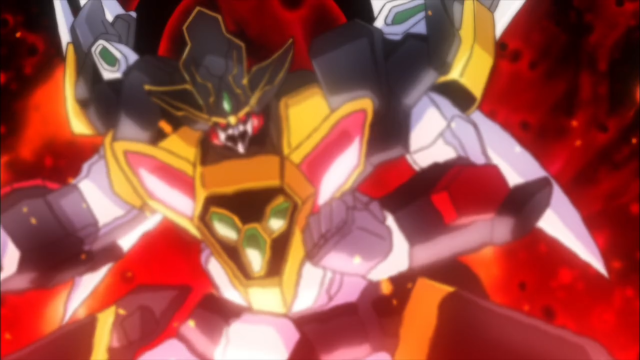 Perron drive checks Dragonic Deathscythe and Yellow Gem Carbuncle (Critical Trigger +5000 power / +1 critical) giving the critical to his vanguard and power to his rearguard Vermillion. LeBon damage checks Shining Lady (Critical Trigger +5000 power / +1 critical) and Red Lightning (Critical Trigger +5000 power / +1 critical) passing the effects to his vanguard. At this point Illuminal rests at 23000 power and cannot be hit by any of Perron's remaining rearguards. Not only did LeBon successfully bait his opponent into limit breaking while he had a second field ready in his hand, but Dragonic Kaiser Vermillion's limit break was not well used here because even if LeBon did not damage check any triggers, Garuda would have been swinging for an empty 9000 power that would not have matched Illuminal's 13000 while rearguard Vermillion with Phoenix would still only be drawing out one of the critical triggers from last turn for LeBon's defense. A better use of Garuda would have been to attack Black Tortoise, but because he was intending to swing with Vermillion in the first place, this would have had no real effect as the events proceed essentially in the same manner. The better play would be to wait to use Vermillion's limit break until next turn so that Garuda and rearguard Vermillion could serve more of a purpose in breaking down LeBon's defensive wall, and by extension guarding King of Sword on turn 10 instead of letting it through, but because Perron's hand was already strained it would be difficult to make this kind of judgment given the limited resources he was working with. Regardless, at this point the match has spiraled out into the endgame and with Perron at five damage, Illuminal's limit break has virtually sealed the match. Perron's hand: 5. Malevolent Djinn, Dragonic Deathscythe, Yellow Gem Carbuncle, Spark Edge Dracokid, Spark Edge Dracokid. LeBon's hand: 7. Hungry Dumpty, Twin Blader, Twin Blader, Three Minutes, Red Lightning, Beast Deity Golden Anglet, The Gong. LeBon calls Beast Deity, Golden Anglet (9000) in front of Blank Marsh and Hungry Dumpty (9000) in front of Tough Boy. Anglet (16000) attacks the vanguard but is guarded by Carbuncle (S21000). Perron's hand: 1. Red River Dragoon. LeBon's hand: 7. Twin Blader, Twin Blader, Three Minutes, Red Lightning, The Gong, Beast Deity Scarlet Bird, Beast Deity Golden Anglet. Perron calls Red River Dragoon (8000) behind Dusty Plasma. Dragonic Kaiser Vermillion (19000) attacks Illuminal, but LeBon plays Twin Blader and drops Three Minutes for perfect defense. Perron drive checks Photon Bomber Wyvern and Demonic Dragon Nymph Seiobo (Heal Trigger +5000 power / heal 1) assigning the power to Garuda and healing Malevolent Djinn from his damage zone. Garuda (22000) attacks Illuminal but is guarded with Twin Blader with Three Minutes dropped for Perfect Defense. Vermillion (16000) is intercepted by Hungry Dumpty. Perron's hand: 2. Photon Bomber Wyvern, Demonic Dragon Nymph Seiobo. LeBon's hand: 5. Red Lightning, Beast Deity Scarlet Bird, Red Lightning, Beast Deity Golden Anglet, Beast Deity Black Tortoise. Perron's hand: 1. Spark Edge Dracokid. LeBon's hand: 6. Beast Deity Scarlet Bird, Red Lightning, Beast Deity Black Tortoise, The Gong, Red Lightning, Beast Deity Golden Anglet. Perron draws and calls Spark Edge Dracokid (5000) in front of Red River, and his vanguard Vermillion (19000) attacks Illuminal. LeBon guards with Red Lightning, The Gong and Scarlet Bird (S33000) to ensure that the attack cannot pass through under any circumstances. Perron drive checks Malevolent Djinn (Critical Trigger +5000 power / critical +1) and Wyvern Guard Guld, giving the trigger effects to Spark Edge. Perron's hand: 2. Malevolent Djinn, Wyvern Guard Guld. LeBon's hand: 2. Beast Deity Golden Anglet, Ultra Beast Deity Illuminal Dragon. LeBon calls Golden Anglet (9000) to his left and Illuminal Dragon (11000) to his right. 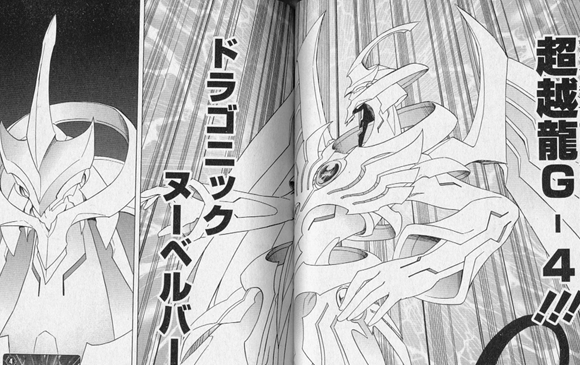 His vanguard Ultra Beast Deity, Illuminal Dragon (18000) attacks Perron's vanguard Dragonic Kaiser Vermillion. Perron does not guard, LeBon drive checks Ring Girl Clara (Heal Trigger +5000 power / heal 1) giving the power to his rearguard Illuminal and healing Twin Blader from his damage zone, and Tough Boy. Perron damage checks Dragonic Kaiser Vermillion "THE BLOOD;" Sebastien LeBon becomes the 2013 Toronto regional champion. Throughout the entire game, LeBon established and maintained a consistent lead over Perron. In addition to this, LeBon demonstrated a familiarity with "THE BLOOD" while Perron did not have a clear comparable idea of how to play against Illuminal. Several times Perron was able to get back to or close to a neutral game state, as in turns 9, 13 and 15, but never actually took the lead after doing so and instead fell behind once more. LeBon capitalized on Scarlet Bird, an at-the-time uncommon choice for Illuminal decks that was generally replaced by Burstraizer or Shout, and it was his very first turn that sent the match spiraling into such a vicious cycle. Even so, the most critical moves were in turns 10 and 11. Had Perron blocked King of Sword's 2 critical attack, then on his own turn refrained from using his limit break and used Garuda to attack Black Tortoise and draw out more shield, his critical trigger that turn could send LeBon to 5 damage first, and Perron would still have been able to use rearguard Vermillion at 21000 against King of Sword even after LeBon's power-up. From the perspective of not having this prior knowledge, it was already clear that being the first fighter to go to 5 would be a dangerous decision without a copy of "THE BLOOD" in hand to turn the match around with his extra critical, two heal triggers were already missing from the deck and in going to 5 Perron empowered Illuminal Dragon by making it necessary to block every single one of his four full-power attacks. Perron never drawing "THE BLOOD" was also a key factor to the direction of the match. LeBon's rearguards were on the whole not suited toward facing a crossride defense. It's debatable how much getting "THE BLOOD" would have improved the game for Perron because without many 5000 shield units he would have had to use 10000 shield triggers regardless. Being able to attack with an extra critical on T11 instead of with just DKV would have drastically changed the outcome of that turn however, because LeBon would have no choice but to drop two perfect defense cards, potentially without ever going to limit break on that turn after blocking the double critical trigger passed to rearguard DKV. This would mean that Perron and LeBon's net advantage at the end of the turn would be -8 to -10, a positive situation for Perron, and it would have taken up one of LeBon's perfect defense cards earlier. Although in this particular match LeBon did not have any other choice on the first turn, in general opening with Scarlet Bird can be compared to opening on Tengen in Go; a contested and somewhat dangerous opening that invites the opponent to make a nonstandard move that can quickly spiral out into a complicated game with heavy losses. Prior to Perron v. LeBon it was generally held that giving the opponent the opportunity to completely block the opening attack and potential critical triggers with it made the play inherently weak, so running Scarlet Bird in general was frowned upon compared to using Transraizer or Announcer Shout in its place. The results of the game speak contrary to this idea. As with comparable moves, the correct play is not to directly meet the opening attack, but to resist the challenge and develop your resources so that this first turn will not become important. There is the conditional factor at play that some builds can tackle the situation in such a way that they can afford to play differently. Tsukuyomi cardfighters, with a higher base power grade 1 than Scarlet Bird and the ability to pull constant advantage from the deck each turn, can afford to drop the 10000 shield. CoCo cannot meet it because her major advantage boost comes at T5 in this scenario and guarding in the midgame is necessary versus Illuminal. Most Royal Paladin builds also cannot play this way because even though they can pull advantage out later by superior calling from the deck, their raw draw power is not sufficient to keep up with the Deities' offensives later, so protecting early is not worth lacking cards later on. Mandalalord-Shirayuki can play the matchup either way because of their own persona blasts and search skills effectively giving the deck an additional 20~60000 extra shield per game, but the results of guarding Bird and Tortoise are still Tengen games that come down to the wire. The defining difference is that Mandalalord-Shirayuki force Illuminal to make the same judgments as his opponent and they drain cards from him in the same fashion, mirroring the gameplan and limiting the resources that both cardfighters can use. Shirayuki specifically can accept going to limit break first because it is easier for her to completely stop every attack in a turn, without resorting to Leaves Mirage. 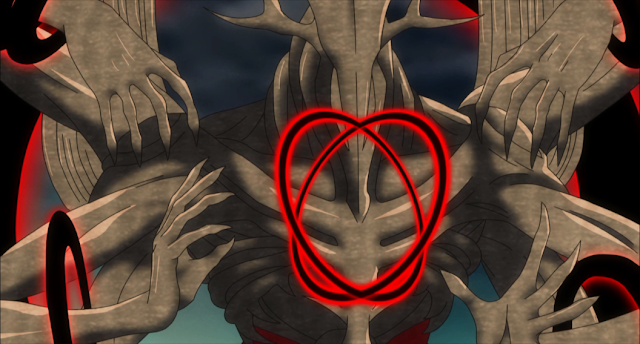 Beyond just the Beast Deities, the aggression principles demonstrated in Perron versus LeBon can also be applied to any clan with units similar to Beast Deity search units, at present Murakumo but also to Narukami's Storm Bring Dragon and clans with copies of it. The following is being treated as a partially substantiated rumor and the story may develop significantly as more information comes to light. Please read with caution. While the Cardfight!! Vanguard media franchise is known internationally as an anime and Trading Card Game, for the past two years the third piece of the puzzle that has yet to see English-language localization has been the original manga written by franchise creator Itou Akira. First debuted at the 2010 Tokyo Toy Show along with a preview video of the anime, and acting as the source material for the animated series, the Cardfight!! Vanguard manga has so far had only one official adaptation, of its first chapter released in preview materials during the 2012 World Championships and at promotional events. Outside of these fragmentary distributions, potential readers have been forced to rely on web-based fan translations or Japanese language mastery to read the manga. But if Amazon is anything to go by, this is about to change. Amazon.co.uk has put up a preorder listing for volume 1 of the Cardfight!! Vanguard manga, published not by Kadokawa Shoten as the Japanese volumes were, but by VERTICAL. A New York-based publisher of Japanese popular media, VERTICAL is most noted for its translations of the manga adaptations of 5 Centimeters Per Second, Summer Wars and the works of classic artist Tezuka Osamu. The company was also responsible for translating Mobile Suit Gundam: THE ORIGIN. The English volume 1 is listed at 180 pages long, compared to the original Japanese volume's 193 pages. The reason for this discrepancy in page count is unknown. Volume 1's ISBN-10 is 1939130417 and ISBN-13 is 978-1939130419, and its release date is March 27 2014 according to the Amazon listing. Note that the preorder listing is exclusively on Amazon UK, but the New York publisher suggests that the manga will be released in the United States as well. The current blurb on Amazon reads "From the makers of the YuGiOh trading card game comes Cardfight!! Vanguard, the manga that inspired the hit Vanguard card game. In similar fashion to YuGiOh and Magic the Gathering, the teenage cast of Cardfight!! Vanguard play a high-fantasy themed card game - initially they play for kicks, but eventually the stakes grow much higher... The basis of the hit trading card game and animation franchise, Cardfight!! Vanguard is a modern fantasy tale of trading card playing and making friends through gaming." There are some small inaccuracies within the description, as Itou was only involved as an assistant on the original Yu-Gi-Oh! manga and the author of the Yu-Gi-Oh! R spinoff, with no involvement in the card game outside of designing promotional cards. 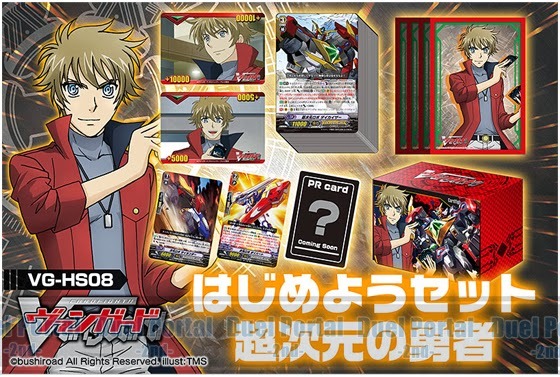 Presuming that the information is correct, one point that is uncertain about this volume is whether or not the Alfred Early promo card that was included in the Japanese release will be brought over for the manga's English language release, as the card was already distributed with boxes of VGE-BT07: Rampage of the Beast King in 2012. As the release of VGE-BT10: Triumphant Return of the King of Knights is nearing, and it was within this set that the manga cards were rereleased in Japan in RRR rarity promo cards as box toppers, the release of the English manga would be the perfect opportunity to distribute these foiled reprints for westerners. The West Tokyo VGCS finished on Monday evening, concluding a collaborative effort between the organizers of the Fateclo and Pitarui VGCS tournaments. 107 cardfighters participated in the West Tokyo VGCS, making it the second largest fan tournament in the game's history after the Hachiouji VGCS (114 cardfighters), albeit at only one third the size of a typical regional tournament. This was also the first Cardfight!! Vanguard competition to employ a new tournament structure which combined two different systems, four preliminary rounds of Swiss draw followed by four rounds for the finals using the remaining top 16 cardfighters. Each round lasted 50 minutes, and was conducted in a best of 3 games format between participants. Unlike in the wholly elimination-based tournaments typical of official events, the Swiss format popular in fan tournaments has each participant play a certain number of rounds regardless of how many losses they take, scoring points based on their number of wins, losses and draws. While this guarantees every participant a certain amount of games even if they do not make the top cut, Swiss is not very time efficient because the same large number of players have to be paired each round where in an elimination tournament a certain percentage of players are eliminated in each round after the second, and a player that scores too highly in a protracted tournament may cause scenarios in which it is impossible for them to not place first, making the final round of the tournament effectively meaningless. The West Tokyo VGCS went for an optimal compromise by dividing the tournament into four Swiss rounds that would guarantee at least eight games to each player, then cutting to top 16 for the last four rounds, alleviating the time and point concerns approximately four hours into the event. Of the fighters attending, 28 played Link Joker, 26 Revengers, 13 Eradicators, 6 Dimension Police, 5 Oracle Think Tank, 5 Great Nature, 5 Nova Grappler, 4 Pale Moon, 4 Angel Feather, 2 Granblue, 2 Aqua Force, 2 Kagerou, 2 Liberators, 1 Royal Paladin, 1 Spike Brothers and 1 Dark Irregulars. First through third place in the West Tokyo VGCS were won by Link Joker cardfighters, with fourth place going to a Dimension Police fighter wielding Dark Dimensional Robo, “Я” Daiyusha as his ace in the hole. Other highlights include a Zerachiel deck, as well as a Great Nature deck running Chatnoir, Polaris and Leo-pald “Я” in the top 8, as well as a Tetra Drive Dragon deck. Each decklist of the top 4 has been translated into English below. The Second Hakata VGCS was also dominated by Link Joker, with 7 of the top 8 being Link Joker decks, and the remaining build being a Raging Form Dragon deck. Decklists are not yet available, but this is yet another tournament pointing to the strong impact of VG-BT13: Catastrophic Outbreak on the format. Chaos Breaker Dragon has now become firmly established as one of the dominating forces of the format, owing to its strong control-based play style that exceeds past decks in scope by preventing units from being called as well as retiring them later on. The effect this has on the game is fairly close to some predictions of how format warping the card would be, in stark contrast to antagonist clans of the past. During the 2011 and 2012 tournament seasons, Shadow Paladin and Aqua Force followed a set formula of a dramatic introduction with only one or two deckbuilds, neither of which were especially prominent in competitive play. Link Joker however has had an immediate effect on the game from the beginning, and while that effect only began to really pick up speed in wake of BT13, their control-based play style and multiple strong customization options make them a deck to watch in the Fighter's Climax 2013 tournaments. The VGCS tournaments are a series of unofficial tournaments organized by fans and cardshops. Unlike Bushiroad's larger official tournaments, most VGCS events are done using a best of 3, Swiss tournament model, with entry fees in the vicinity of 1000 yen per person that go toward grand prizes like booster boxes, Nintendo 3DS handhelds and other merchandise. Turnout is typically 70-80 persons, but some events see 100 or more participants, all of whom compete using pseudonyms and internet handles rather than their real names as in official events. Just in time for Halloween, a very spooky deck has opened Japan's 2013 winter national tournament. To great fanfare the results of the first FC2013 regional qualifier have been posted on the official portal, with first place cardfighter Sakamoto Issei bringing Demon God Marquis, Amon “Я” to the height of the open class tournament. The surprise both domestically and internationally cannot be overstated, as the Irregulars were far from one of the clans projected to do well in the immediate buildup to the tournament. The Fukuoka regional was expected to be taken by Link Joker decks in droves. In the eyes of many the Irregulars have still not surmounted their primary problems of gaining and maintaining card advantage, but Sakamoto chose to instead take the clan in a completely different direction to even the playing field for his clan. Decklists are at the bottom. Amon “Я”'s overall strategy is to rapidly soulcharge 2 cards at a time with Hell's Deal and Hell's Draw, using the generally-open counterblast for Gwynn the Ripper's cost to retire the opponent's rearguards, turning the large soul into a strong midgame with Demon World Marquis Amon's consistent 21000+ line and then going in with Demon God Marquis Amon “Я”'s limit break for similar power with an additional critical that allows it to make vengeance plays when the opponent is only at 3 damage. The deck's soul-oriented build also allows it to set up a crossride fast and early, but not as accurately as Luquier “Я.” Sakamoto Issei's Amon is notable for its more extensive use of the damage zone, decreasing grade 3 space in favor of running four copies of Gwynn and the very unusual choice of Bloody Calf over Doreen the Thruster or Poet Amon. Typically Doreen and/or Poet are chosen for their soul synergy and overwhelming field power boosts, and these strengths have been stressed even more in an era where the Irregulars have Lon Shinrin for a 12000 power rearguard attacker, but Sakamoto chose Calf for her unique ability to control the opponent's boosters, playing a similar role to Gwynn in a deckbuild that is innately low on counterblast costs. When taking into account the base Amon's soulcharge-to-retire skill, the overall theme of Sakamoto's deck can be argued to be field control, using Devil in Shadow as a sacrifice to Amon to take out the opponent's rearguards, and Calf and Gwynn to do so in a way that actually gives the Irregulars the upper hand. Sakamoto's other innovation is the use of Yellow Bolt, using him to steadily soulcharge 1 card every turn after limit break, then Lock Bolt for the cost of his Reverse card's skill so that Amon “Я”'s power will steadily built each turn for a small extra bonus compared to contemporary Amon “Я” decks. Bloody Calf may yet become a staple of Amon “Я” play after this overwhelming success, while it remains to be seen if Yellow Bolt will be similarly adopted. Considering Luquier “Я”'s success in the previous national championship, this may be Irregulars' time to shine. 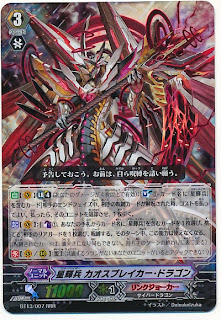 While runner-up Kajima Kiyoto played a fairly standard Raging Form Dragon deck with the extra grade 0 and Darkbond Trumpeter that have now become staples of the Revengers, Kajima's build is still illustrating some very gradual development for the Shadow Paladins. Up to this point Mordred Phantom has very consistently been a four card staple, but Kajima chose to run him at three in order to make room for the 12 grade 2s that are also endemic to Revenger play, maximizing his build's options. Currently Kajima's deck seems to reflect the Revengers as a whole, using Dark Bond Trumpeter to fetch Claudas early on in the match for a quiet buildup, break riding with Mordred Phantom to fill out the field and power up Raging Form Dragon, using Tartu to fetch Dorin, unflipping and retiring with Blaster Dark Revenger, then finishing out the game with Raging Form Dragon's persona ride. Within the top 8, fourth place cardfighter Kamiya Ayaka has been getting a lot of attention for bringing a previously-unproven Great Nature deck to the top brackets of professional play, with her School Punisher Leo-pald “Я” deck winning the Doctor O Prize for innovation. Kamiya's strategy was to open turn 3 with the Chatnoir break ride, break riding Chatnoir over Chatnoir on turn 4. By comboing Chatnoir's break ride skill and Binoculus Tiger's retire skill, she could stack between 8000 and 16000 power on a single Stamp Sea Otter, for a rearguard lane of 23~31000 power, a vanguard lane of 28000~ power, and another lane that could vary between 15~23000 power, then at the end of the turn draw two cards for Chatnoir's skill but not be able to retire Otter because of its own continuous ability, netting a total advantage of +1 overall. To further take advantage of this however, Kamiya ran eight stand triggers in her deck, so that each additional attack would allow her to draw another card at the end of the turn for a +2 or +3 overall while continuously wailing on the opponent with high power attacks. This transformed her stands into a combination of stand and draw instead of just stands alone, without the major weaknesses of draw triggers to interfere. Like Amon, the deck has very few uses of counterblast, so in this case it also made use of Lamp Camel's on-hit CB2 to draw to further combo with Chatnoir's power increasing break ride. For her final strategy, Kamiya would break ride with Leo-pald “Я” and use his limit break to Lock a rearguard and power up two rearguards by +4000, retiring them in the end phase, then calling them back. This would further build on the break ride's power boosts, with rearguards occasionally stronger than a post-limit break Liberator of the Round Table Alfred, and was further supported by her deck's personal staple Tank Mouse. Tank Mouse has until now been a relatively lackluster card, a base 6000 power grade 1 that can be rested to power up another unit by +4000; usually just boosting with it is better, but as in the case of Yellow Bolt, Tank Mouse is a very viable Lock target with high synergy toward being sacrificed. Meanwhile Chaos Breaker Dragon has been picked up immediately by the junior's division, taking both first and second place at Fukuoka. An unusual trend shared between both the junior class and team tournaments is the teching of Nebula Lord Dragon as an alternative ride to Chaos Breaker, likely out of appreciation of the deck's overwhelming strength when the break ride is brought about. While Chaos Breaker is notorious as a hard counter to Reverse cards and still strong as one of the most consistent control decks in other matchups, having the occasional option of Nebula Lord as a transition between Infinite Zero and Chaos Breaker can be a useful battleplan to Link Joker cardfighters, as going through all three grade 3s both capitalizes on Nebula's strengths and his crucial weaknesses of only bringing his massive field power bonus for one turn in the game while also being wholly dependent on Infinite. With Chaos Breaker still providing a good fallback if Zero falls apart, the game strategy is solid enough that this development may be expected to progress among other Link Joker cardfighters in the future. This year's Fighter's Climax is part of the larger Bushiroad World Grand Prix for the company's Japanese TCGs. It is the first year that Cardfight!! Vanguard is a part of the WGP. Note that while the tournament was originally referred to on Twitter as the Fukuoka regional, it is being officially designated as the Hakata regional on the official website; much like in the case of the "Dallas" versus "Texas" qualifiers abroad, both names are technically correct with regards to where the tournament took place. Accompanying the open and junior class tournaments this year is the return of VF Koushien, a special triples division of team tournaments for student cardfighters. VF Koushien is based on the summer & winter Koushiens, two high-profile national baseball tournaments held in August and March in Japan. Like the baseball tournaments, participation in VF Koushien is restricted to school teams, and all members on the team must be from the same school. Unlike in the baseball Koushien, VF Koushien is open to any elementary, junior or high school cardfighters. If for any reason one fighter cannot participate on their team after it has registered, up to one participant may be changed out for another under the conditions that the new fighter is from the same school as the other team members. Fukuoka's team greatly reflects the state of competitive play, with the three major decks of the format each onboard; Kuroki Yuki's Dragonic Descendant, Yoshida Hiroshige's Chaos Breaker Dragon and Tomita Hiromi's Raging Form Dragon. Although greatly scaled back compared to its glory days, Descendant is still a definitive part of the format, and the combination of three different decks each capable of varying levels of opposing field control, draw power and deck searching made for a plethora of positive matchups for Fukuoka's team. The final official competition of the Japanese tournament season began Sunday, with the Bushiroad World Grand Prix 2013 Fukuoka Stage ending with a surprising champion standing at the top of its open class competition; a Dark Irregulars cardfighter wielding the clan's latest boss card, Demon God Marquis, Amon “Я.” This is the first time that Dark Irregulars have made first place in a major tournament since their initial release in Japan almost three years ago, and the introduction of a Reverse card has provided them a long-sought after combination of strong defense and overwhelming power bonuses not just to the center lane, but to the entire field. 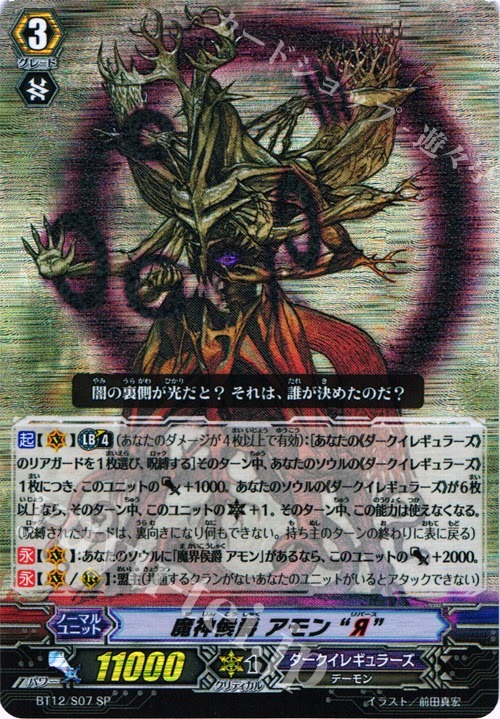 However, Amon “Я” has up to now been panned as the least effective of the Reverse units, lacking their field consistency and ability to pull out other cards from various zones or destroy the opponents', and his subgroup has done little to remedy the Irregulars' consistency problems with actually drawing and searching cards, a setback that has been pervasive since BT03. His sudden debut in the 2013 Grand Prix is a shock not just in Japan, but in the greater global community as well. The remaining spots in the top 4 were taken by Shadow Paladin, Narukami and Great Nature cardfighters. Meanwhile first place in the junior tournament went to a Link Joker fighter. There is some confusion among Japanese players, mainly over Great Nature which is perceived to ultimately lose the damage race against Chaos Breaker. The prevailing theory at the present time is that the deck's strategy hinges on combining Chatnoir with Leo-pald “Я” and a base of supporting grade 1s, with Tank Mouse as a designated target for Lock to capitalize on Great Nature's Reverse card's limit break, using the consistent filtering combo of Coiling Duckbill with Binoculus Tiger to build up a midgame strategy in the form of consecutive break rides, Chatnoir into Chatnoir and then into Leo-pald “Я” for the endgame. The World Grand Prix 2013 is unique as the first international Japanese language CFV competition. Previously, Bushiroad's WGP tournaments only encompassed other properties like Weiss Schwarz. Cardfight!! Vanguard first debuted as a TCG in Japan in February of 2011, and many overseas fans from different countries across the globe began importing the game from the release of trial decks and the earliest booster sets, but the English-language TCG has received much greater attention worldwide and through Bushiroad's intensive marketing has come to eclipse it in importance. Nevertheless, many longtime cardfighters have been campaigning to be able to use their Japanese cards in their own international tournaments ever since the division of English and Japanese formats was established. The inclusion of Japanese Cardfight!! Vanguard in the World Grand Prix will bring this three year history full circle, with locations currently announced for China, Malaysia, Taiwan, Indonesia, Hong Kong, Singapore and Thailand. While Hammergirl Anime is scheduled as a location for the Weiss Schwarz regional, there are no American qualifiers listed for the Japanese edition of Cardfight!! Vanguard. This may be to avoid the possible confusion of having WCS2013 and WGP2013 running concurrently. Furthermore, the majority of American cardfighters that play in the Japanese format cannot actually read Japanese. These cardfighters have instead depended on unofficial fantranslations of the cards since early 2011, and their illiteracy would be problematic when making rulings and filling out forms. Several of the events in the World Grand Prix last two days, with day one being a WS tournament and day two being for Vanguard. Within Japan the remaining qualifiers are scheduled for Sapporo on the 20th, Kanazawa on the 27th, Sendai on November 4th, Nagoya on November 24th, Okayama on December 1st, Osaka on December 15th, and Tokyo on December 21st. The national finals will be held in Tokyo. These tournaments will consist of both Fighter's Climax 2013 singles tournaments for open and junior class cardfighters, and VF High School/VF Koushien triples tournaments for high school students participating as a group. Those participating in open class tournaments will have to win at a shop qualifier first to receive an invitation, then register online for their regional, while junior class cardfighters can register for their division without prior invitation. Only cardfighters born on or after April 2, 2001 can participate in the juniors' division, limiting participation to those 12 and under. The second issue of Monthly Bushiroad has brought with it an early view of Cardfight!! Vanguard's first grade 4 unit, Transcendence Dragon, Dragonic Nouvelle Vague. As a grade 4 Nouvelle Vague is the face of a new mechanic entirely, bringing with it immense consistency issues by giving another opportunity for gradelock to influence a match, and needing to rework entire deck ratios to compensate for that, but as a reward Nouvelle comes with immense power and supporting units that help mitigate its weaknesses. ACT (V): [Limit Break 4]: [Counterblast 3 and Soulblast 3 and choose a card named "Transcendence Dragon, Dragonic Nouvelle Vague" from your hand, and discard it] Retire all of your opponent's rearguards. CONT (V): During your turn, the effects of your opponent's Triggers do not activate. CONT (V): When this unit attacks a vanguard, your opponent cannot call grade 0 units to the guardian circle until the end of that battle. CONT (R): This unit gets Power -1000. Originally conceived by franchise creator Itou Akira for Aichi and Kai's climactic fight at the end of the manga's first story arc, Nouvelle Vague (French; "New Wave") as Itou originally envisioned it did not have "Twin Drive!!" but negated all trigger effects during both player's turns. The final version of the card instead retains the ability to check two triggers per turn, and only negates the opponents' triggers, but also only during its own turn and its main advantage is its high defensive base power coupled with preventing the opponent from using most 10000-power shields against it. As Kai used it, Nouvelle Vague did not have a retire skill, but the persona blast on this card is meant to encourage playing it at more than 2 copies as the experimental grade 4 Silvest was commonly played during his time, and EB09: Divine Dragon Progression will also introduce supporting rearguards that reveal copies of Nouvelle Vague already in hand to activate their skills, or return the card to the deck to search for grade 3 or higher units to help prevent the various gradelock issues surrounding it. Meanwhile, two new Beginning Sets (はじめようセット Hajimeyou Setto) have been announced for Japanese release, VG-HS07: Beginning Set Star-vader Invasion and VG-HS08: Beginning Set Dimensional Brave Kaiser. Based on past trial decks but with additional supplies and promo cards, these are part of regular annual releases made by Bushiroad of Japan to capitalize on the holiday season by providing a gateway for kids and new players to become cardfighters. Each Beginning Set will come with a 50-card trial deck, 53 card sleeves, a deckholder, fighter's counters to place under cards to show power increases, and RRR prints of three promo cards. 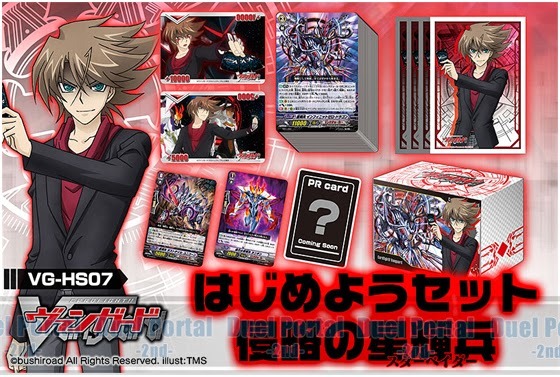 VG-HS07 is Link Joker themed, with its sleeves, deckholder and counters based on Яeverse Kai, and Star-vaders Dusttail Unicorn and Lanthanum as promo cards, in addition to a new Link Joker promo that has yet to be revealed. The accompanying trial deck is TD10: Star-vader Invasion, which brings along many essentials for Link Joker cardfighters including the Infinite Zero break ride and Mobius Breath Dragon, units that have become staples of recent competitive decks. Meanwhile VG-HS08 is based around the Dimension Police clan, with sleeves, a deckholder and fighter's counters derived from Mitsusada "Koutei" Kenji, and Dimensional Robos Dailander and Daiheart promo cards, as well as alternate artwork prints of Super Dimensional Robos Daiyusha and Daikaiser. The illustrator of these new artworks is Oobari Masami, a celebrated artist who originally designed Daikaiser and performed guest animation for ride 135 of Cardfight!! 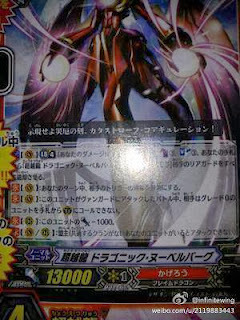 Vanguard Link Joker. 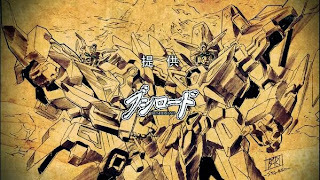 The alternate artworks are full color pieces derived from the episode's ending illustration, showing Daiyusha and Daikaiser shaking hands in front of Mt. Fuji. Both of the new Beginning Sets will be released on December 27th in Japan. 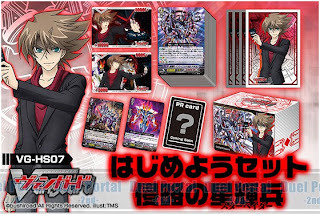 Previously, Beginning Sets HS-05 and HS-06 for Gold Paladin and Shadow Paladin had been announced for a December 12th release, featuring TD08 and TD10 trial decks along with accompanying sleeves and deckholders based on Sendou Aichi and Suzugamori Ren. This is the first year that four Beginning Sets have been released at once. The decision to release HS-05 and HS-06 on the 12th with 07 and 08 on the 27th is likely intended to take advantage of the dual importance of Christmas and New Year's in Japan, as Christmas is the day when children receive presents but New Year's is when they are given spending money to celebrate. Although these sets could have similar impacts on the holiday season abroad, no English-language release dates for any Beginning Set have ever been announced.